Re: Circular Letter No. 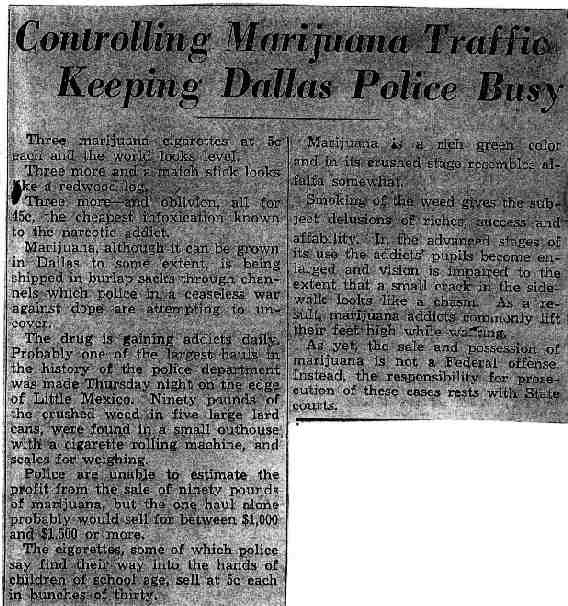 354 - Marihuana seizures. 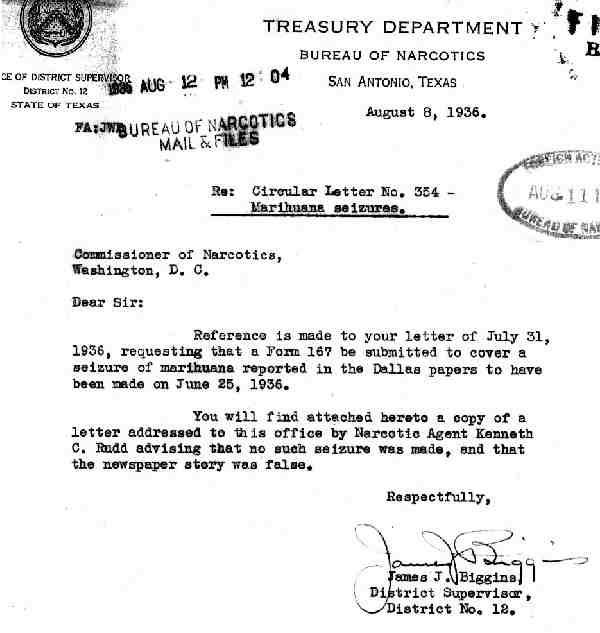 Reference is made to your letter of July 31, 1936, requesting that a Form 167 be submitted to cover a seizure of marihuana report in the Dallas paper to have been made on June 25, 1936. You will find attached hereto a copy of a letter addressed to this office by Narcotic Agent Kenneth C. Rudd advising that no such seizure was made, and that the newspaper story was false.